Radar Red Nappa Leather Seats! Navigation! 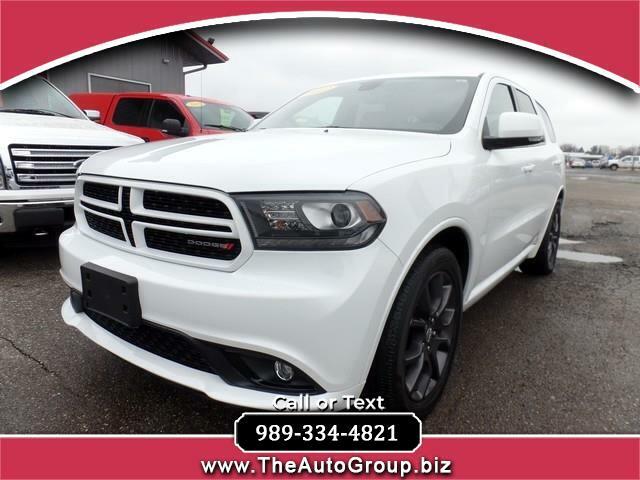 Reward yourself with our 2017 Dodge Durango R/T AWD that s stunning in White Knuckle Clear Coat! Powered by a proven 5.7 Liter HEMI V8 that offers 360hp with fuel saver technology while connected to a class-exclusive 8 Speed Automatic transmission. This Four Wheel Drive combination executes flawlessly along with sport-tuned suspension and yields near 23mpg on the open road with ample get-up-and-go and responsive handling. Take a look at our photos and just imagine yourself behind the wheel of this beautiful Durango! You ll make a powerful first impression with the muscular stance of your R/T. Sit back in the heated leather seats featuring memorized adjustments, check out the touchscreen display, crank up the Beats audio, or make a phone call with Bluetooth all while keeping your hands on the heated steering wheel. Comfort and confidence reign supreme with Dodge Durango as it has earned excellent safety scores thanks to stability/traction control, a rearview camera, parking sensors, and advanced airbags among other features. Designed with your family s adventures in mind, this SUV is a great choice! Print this page and call us Now... We Know You Will Enjoy Your Test Drive Towards Ownership!